'Louie Louie': Indecipherable, Or Indecent? An FBI Investigation The Kingsmen's 1963 version of the song was a huge hit — though no one could make out the words. Some fevered imaginations and misheard lines led to an FBI investigation into alleged obscenity. Everyone knows the song — or, well, parts of it. "Louie, Louie." "Ohhhhhh, baby." "A fine little girl, she waits for me." But the next line ... How's it go again? The voice growling out those indecipherable lyrics belonged to Jack Ely, the lead singer of The Kingsmen, who died this week at the age of 71. 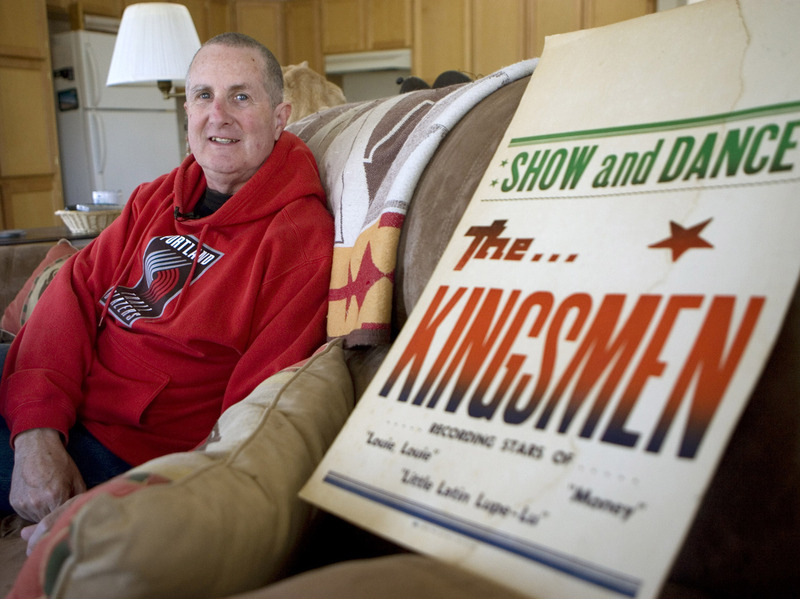 Jack Ely, co-founder of the band The Kingsmen, died this week at the age of 71. His band was best known for its version of "Louie Louie." He wasn't the only one to belt out the song — there are hundreds of recordings of "Louie Louie," which was written by Richard Berry in 1955 — but The Kingsmen's 1963 version is the most famous. And it's famously hard to make out the words. In fact, the ambiguous vocals made the recording the subject of a two-year-long FBI investigation. Eric Predoehl, who is making a documentary about the song's history, tells NPR's Scott Simon that the investigation began after the FBI received letters from worried parents. "Kids would, would hear these versions of the song, and they would pass around these written notes of what they thought were the lyrics," he says. "And parents were concerned, and they figured 'my gosh, this sounds like a dirty song, I don't understand it — maybe we should have an investigation of this sort of thing.' 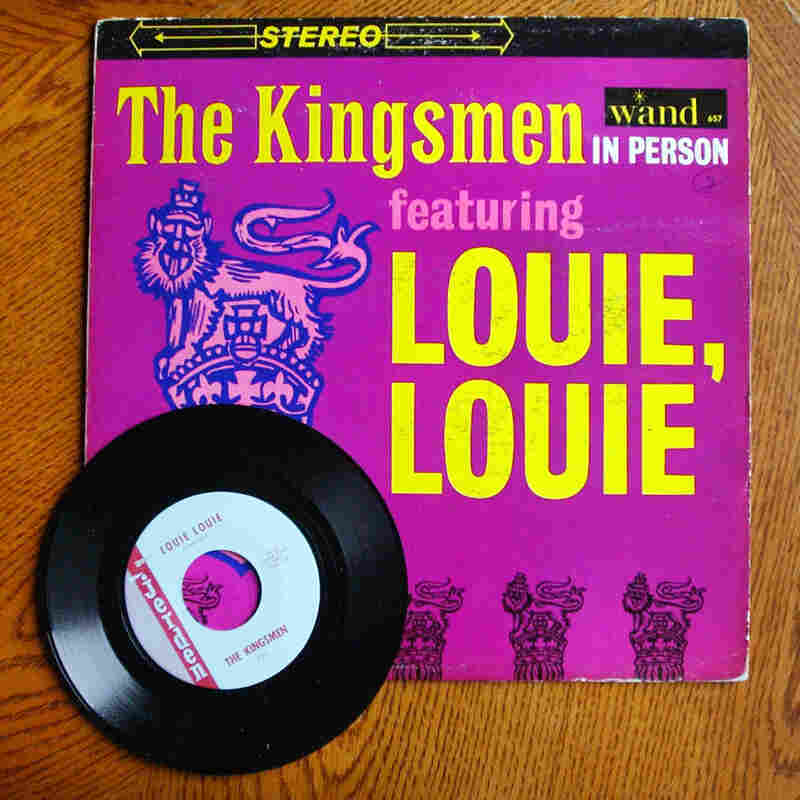 "
The "Louie Louie" record, shown in 2003 ahead of an eBay auction, was a huge hit in the '60s. The hard-to-decipher lyrics led to some sordid speculation among teen listeners — and some fretting among those teens' parents. So the FBI tried to figure out whether the recording inserted vulgar variations on the published lyrics. The process involved a lot of agents, Predoehl says. Robert Kennedy and J. Edgar Hoover received letters about it. The governor of Indiana got involved. The FBI looked at the recording, Predoehl says, looking at it "backwards and forwards, they played it at different speeds, they spent a lot of time on it — but it was indecipherable at any speed." Oddly enough, Predoehl says, the FBI never talked to the one man who'd know for sure: Jack Ely, the man behind the microphone. Click on the audio link at the top of the page to hear from Predoehl, or look below to dig into the FBI file on the investigation. Reader beware: the document describes listener theories that the lyrics of "Louie Louie" were secretly vulgar, and includes the supposed vulgarities.